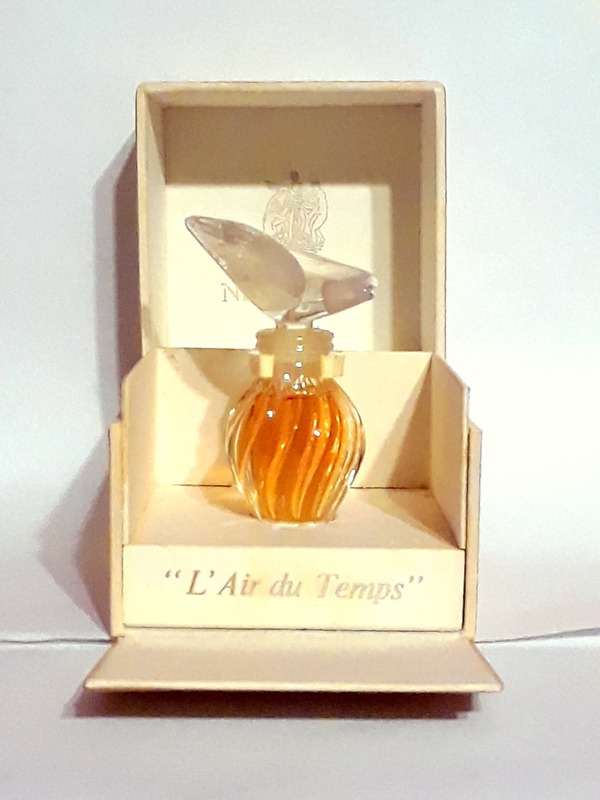 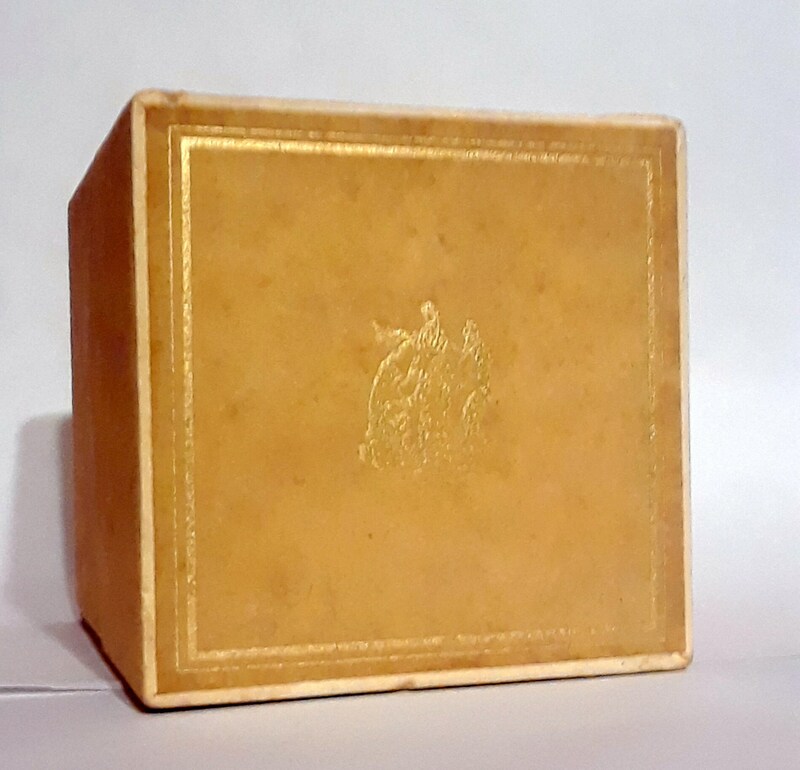 Vintage 1980s L'Air du Temps by Nina Ricci 0.25 oz (7.5ml) Pure Parfum Splash Crystal Single Dove Stopper Lalique Perfume Bottle with Box. 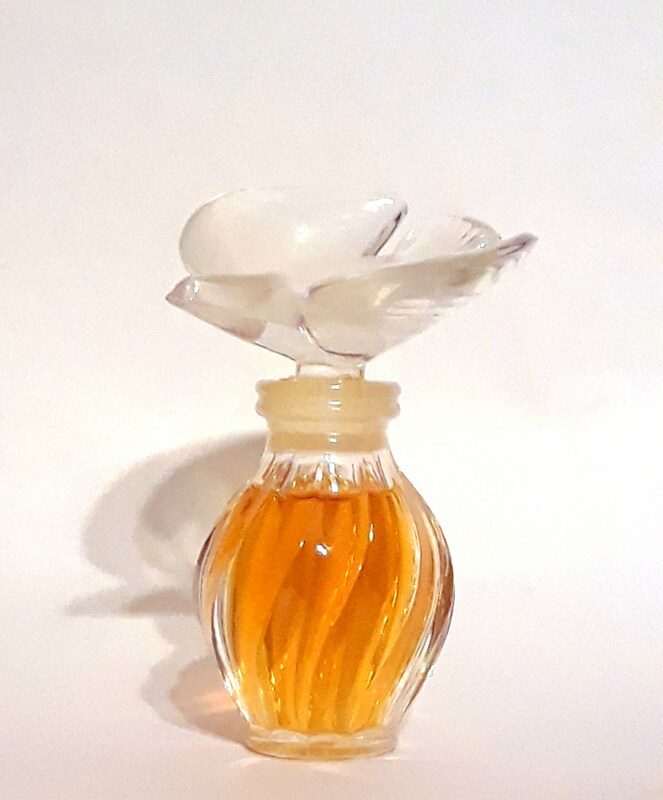 The stopper is frosted glass with the single dove design. 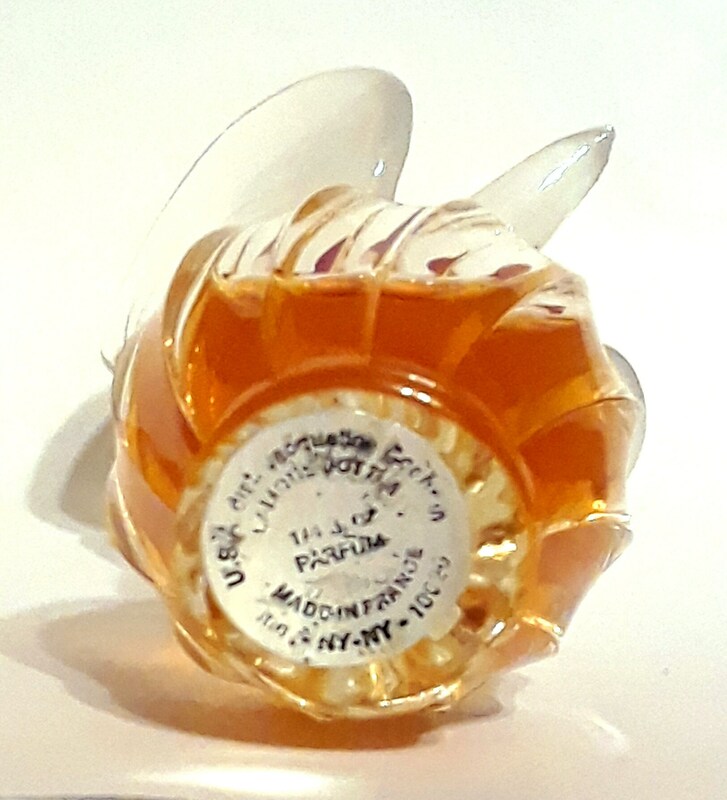 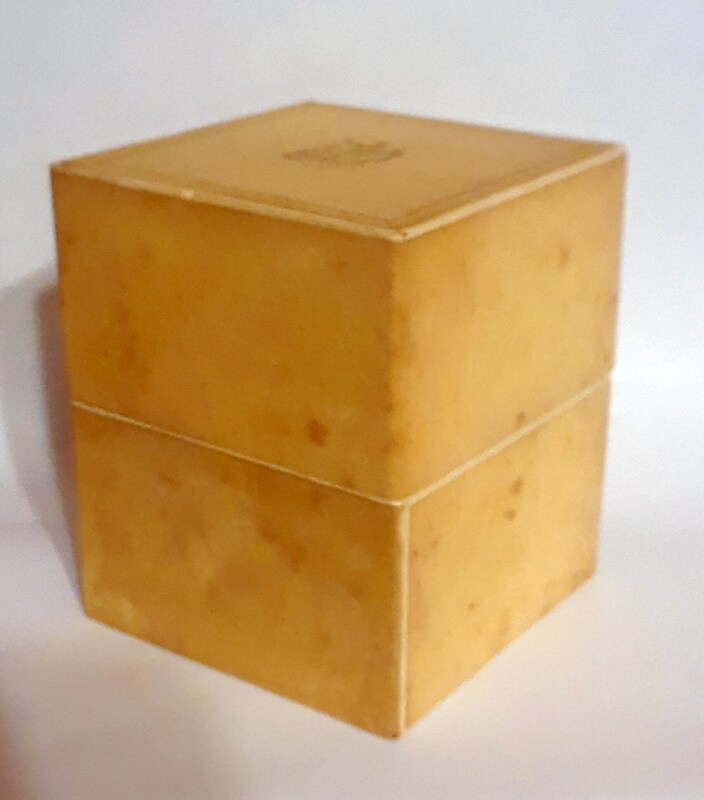 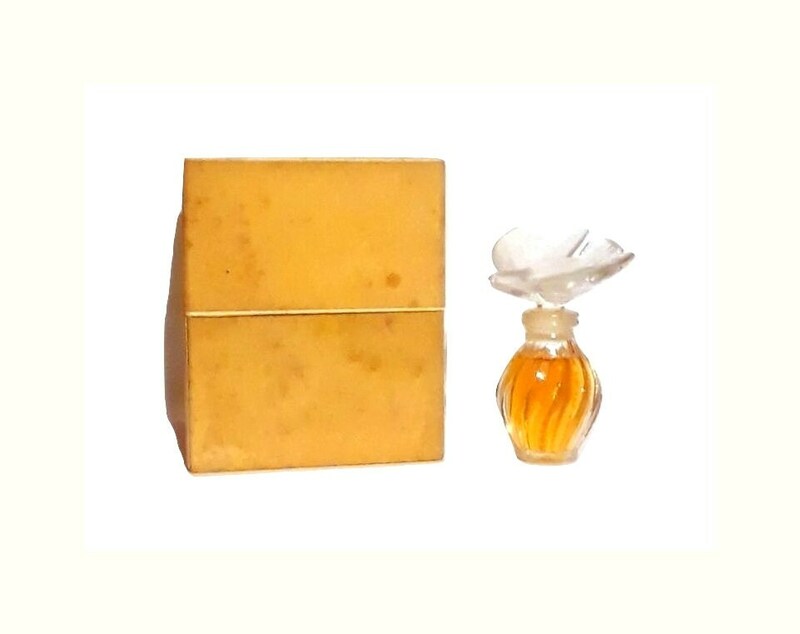 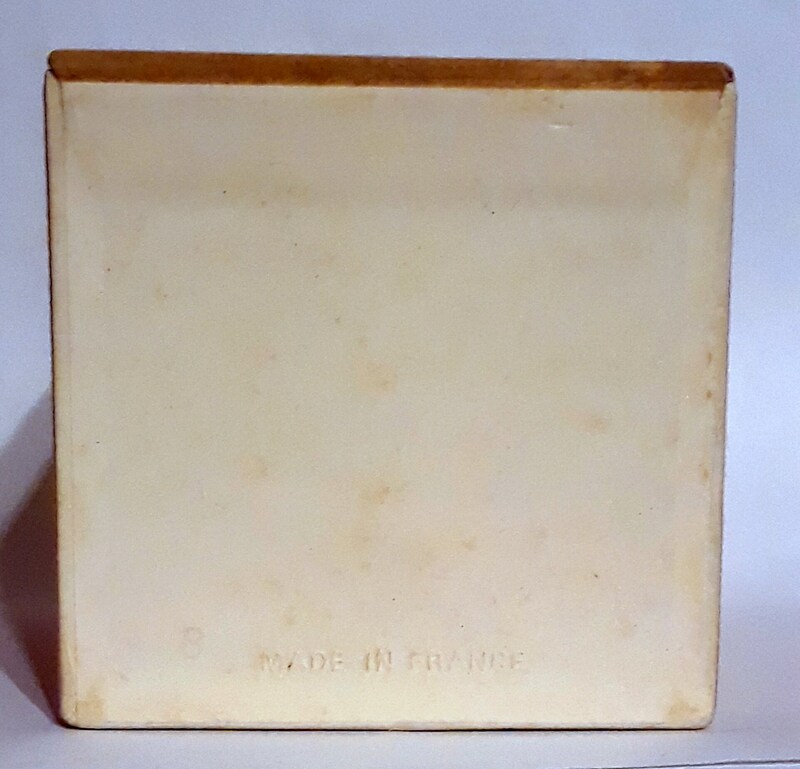 The base has a paper label with the Jacqueline Cochran name and "Lalique Bottle Made in France". 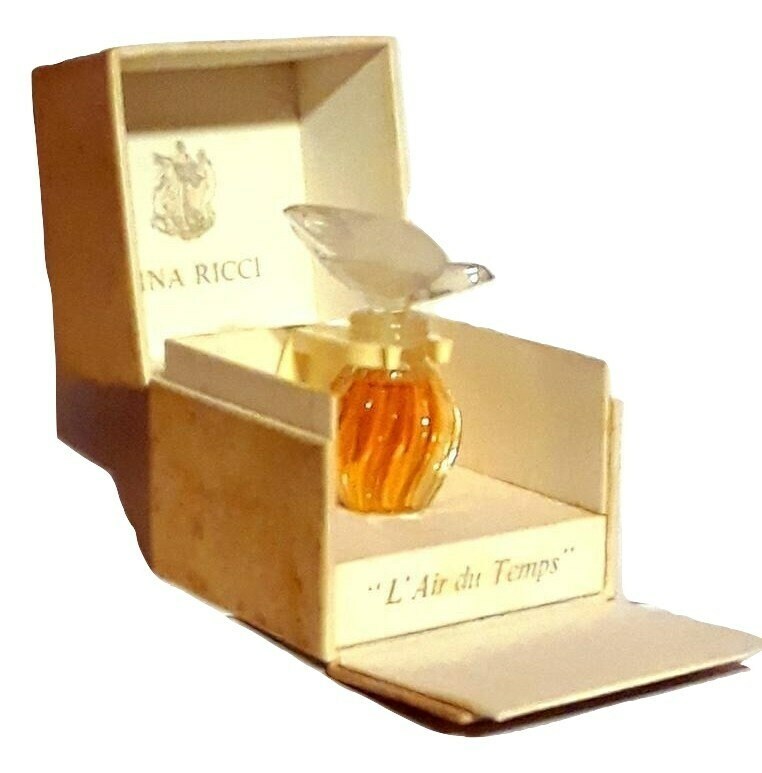 The crystal bottle has been opened and some evaporation caused a lot of perfume stained spots all over the inside and outside of the box. 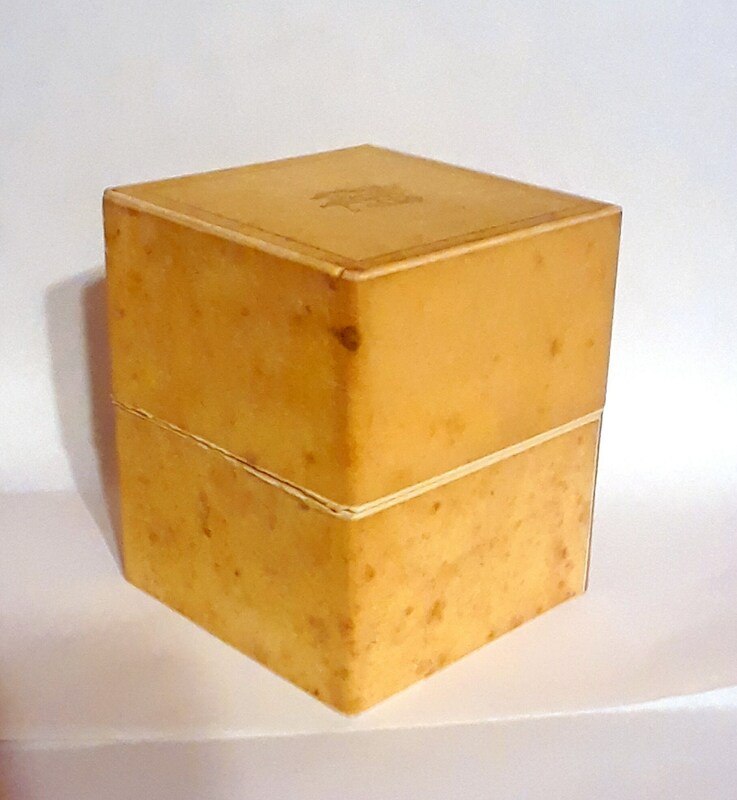 Please remember that this is old and will not smell as fresh as it once did when it was new. 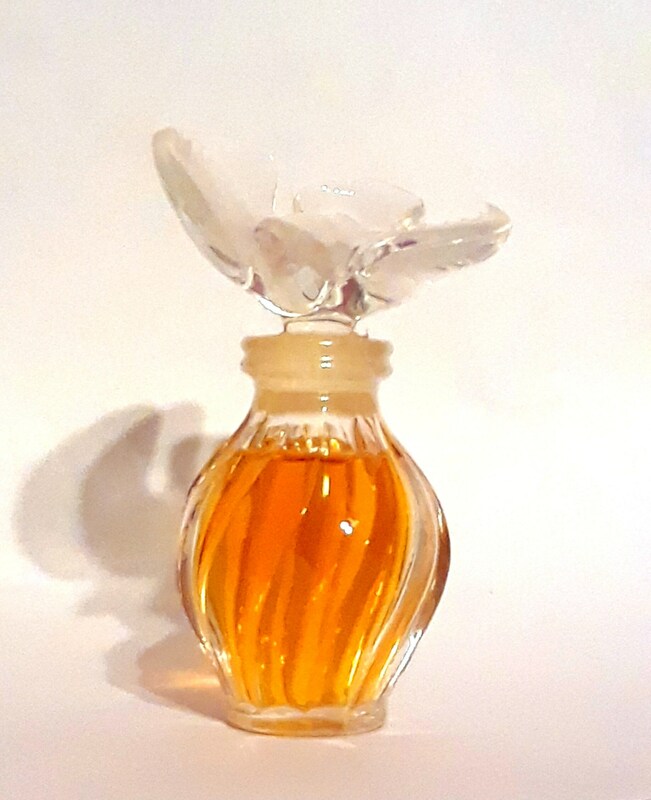 I just tested it and it still smells good and is wearable.